For as long as there have been people, there have been sick people. One of the things that make us human is that fact that for as long as there have been sick people, there have been people acting as nurses to take care of them. The earliest nurses were mothers doing their best to comfort and treat their sick children. Orders of nuns in all the major religions arose with the mission of caring for the sick. In fact, senior nurses in British hospitals are often addressed as "Sister" to this day. When Hippocrates created the medical profession in ancient Greece, he also trained male attendants to care for and observe patients of the earliest doctors. In a modern hospital setting, nurses are thought to be subservient to doctors, but they actually work together more like teammates or a biological organism. Doctors act as the eyes and brains of the organism, diagnosing patients and prescribing treatment, while nurses are like the limbs and fingers which actually do the work of caring for and healing the patient. 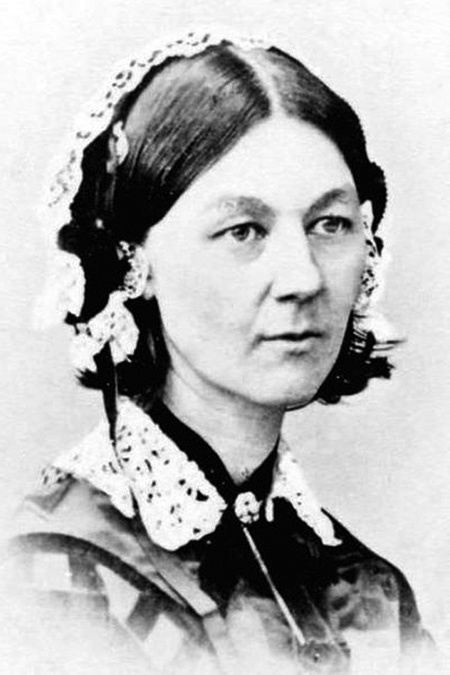 Florence Nightingale was the founder of the modern nursing profession. For centuries of warfare, the women who followed armies between battlefields were looked down upon by society, since they generally served as laundresses, cooks, and very often, prostitutes. Born in 1820 into the gentry class and educated by her abolitionist minister father, Florence was able to travel extensively as a young woman. In 1853, she was given charge of the Institute for the Care of Sick Gentlewomen in London. When Britain sent her troops to Crimea a little more than a year later, Florence, along with 38 nurses trained at the Institute and fifteen Catholic nuns were sent to the war zone under the authority of the War Ministry. The Crimean War was an early example of industrial warfare which would be savagely displayed a decade later in the American Civil War, and the injuries and illnesses the soldiers sustained were horrific. Nightingale discovered that conditions in the field hospitals were nearly as terrible as those on the battlefield, with overworked medical staffs, a shortage of medicines, and little attention paid to basic hygiene. Florence began sending reports back to London with pleas for official help to improve conditions. During her first year in the country, more than 4,000 men died but Florence observed that the fatalities from diseases like typhus, typhoid, cholera, and dysentery were ten times greater than those from battle injuries. In the field, she instituted better sanitation conditions, including mandatory hand washing, and was credited with reducing death rates in military hospitals by orders of magnitude. The British press hailed Florence as "the Lady with the Lamp" who went from one injured soldier to the next during the night, tending their wounds and offering comfort. Later historians debate the extent of Nightingale's contributions during the Crimean War, citing the War Ministry propagandists need for some sort of heroic figure from the war. Along with defining the modern role of nurses and nursing, Nightingale established a school for nurses and midwives at St. Thomas Hospital in London which is now part of the King's College Medical School. When we consider that the Second World War is one of the defining events of the Golden Age of Radio, there is little wonder that we find so many stories about Military nurses. Florence Nightingale's own story is related in "Angel of Mercy" on Voice of the Army. The story of "Nurse Edith Cavell" is told by Encore Theatre. Miss Cavell was a British subject living in Brussels when the Germans occupied Belgium at the beginning of the Great War and she tended to injured soldiers from both sides but she was executed by a German firing squad for helping 200 Allied soldiers to escape. Cavell's story helped the galvanize support on the British WWI Homefront. One of the direst hours of America's War in the Pacific was the fall of Corregidor and Bataan. Dozens of Army and Navy nurses were serving in the Philippines on December 8, 1941, when word began arriving of the Japanese attack on Pearl Harbor. 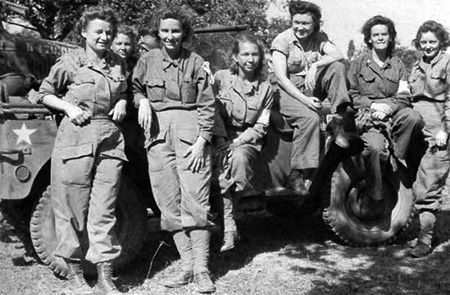 Seventy-seven American women were eventually captured by the Japanese and made POWs, but they not only survived, they continued their nursing duties throughout their ordeal. 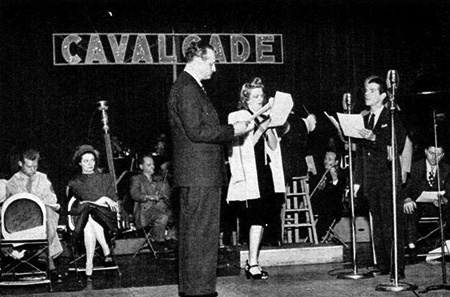 Their stories are told on Cavalcade of America, Radio Hall of Fame, This is My Story, Lux Radio Theatre, Notes from Your Soldier's Notebook, and Mayor of the Town. Because nursing is traditionally an occupation for women, notions of romance will eventually crop up. Young men are almost destined to fall in love with the pretty nurse caring for them, and nurses can fall, not just for their patients but also for the handsome and capable doctors they work with. Of course, any intelligent and pretty young women who come around The Great Gildersleeve should expect to be at the receiving end of some woo-pitching, and nurse Kathryn Milford in the fall of 1949 was no exception. The nurses' romantic intentions get them into bad situations with criminals on Perry Mason, Nero Wolfe, Suspense, and Yours Truly Johnny Dollar. If there is potential for romance, there is plenty of potential for laughter, and nurses find themselves in some totally ridiculous situations on The Jack Benny Program, The Fred Allen Show, Vic and Sade, Fleischmann's Yeast Hour, and Earn Your Vacation. Many of the greatest nursing stories are of nurses doing what they do best, working with doctors to care for and heal patients. Along with hospital romances, there is lots of serious healing on The Story of Doctor Kildare and Dr. Christian. 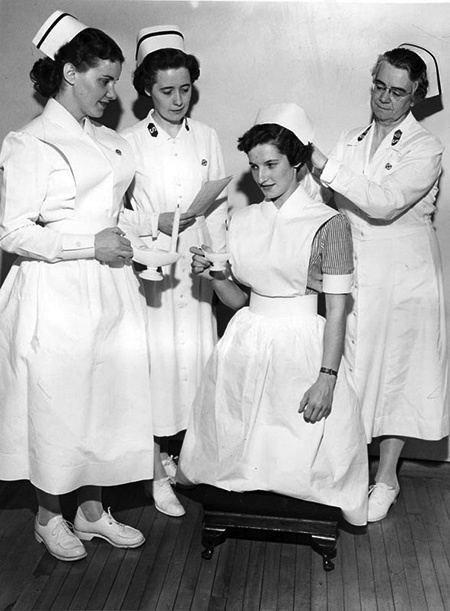 Cavalcade presents the story of "Sister Kenny", an Australian nurse who treats polio. A nurse is trapped with three miners underground in "Newshawk", and Gallant American Women describes how some famous nurses entered the profession. Be the first to comment on "Nurses"